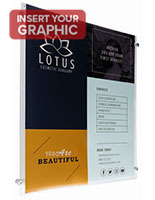 This Premium Sign Supply is an Acrylic Holder for 17" x 11" Prints! 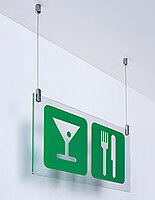 Suspended Signage For Sale Online Sells Loads of Dimensions and Configurations! Check Out Our Web Store for This Sign Supply, as well as Vinyl Banners with Screen Printing! 17x11 Sign holder comes with (2) s-hooks for connecting to other frames. 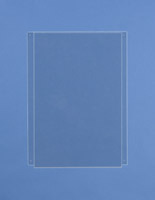 Acrylic is laser cut for precision and a blemish free construction. 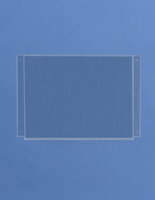 17x11 Sign holder is clear and frameless for compatibility with any décor. 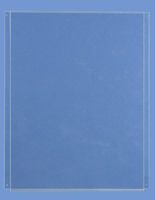 Designed to expand existing widow displays or use with KITCH60 ceiling mount kit [sold separately]. The acrylic 17x11 sign holder, also known as a poster display, is specifically design for expanding ceiling suspended fixtures. Mounting hardware is not included with the purchase of this unit. 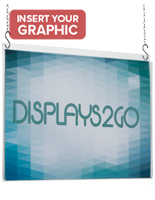 This 17x11sign holder that is a window display comes with (2) s-hooks for connecting to other frames. This 17x11 sign holder that exhibits prints in landscape format links under other frames, which expands the number posters businesses can hang storefront windows. The result is expanded advertising exposure for any establishment that hangs this sign in a storefront window. The s-hooks fit perfectly into the pre-drilled 3/16" diameter holes drilled in this 17x11 sign holder for windows. The pre-drilled holes are 17-5/8" apart [center point to center point]. This 17x11 sign holder only connects to frames that have holes with the same diameter and drilled in the same position. These ceiling mounted frames have a simple, yet quality construction that balances affordability with style. Each 17x11 sign holder that is precision laser cut has an acrylic fabrication. These window displays are clear and completely frameless, which provides an unobstructed view of posters. 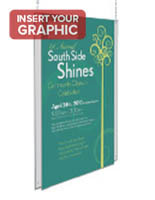 The acrylic material used to make this poster display is 1/8" thick. Prints quickly top-load into these ceiling-suspended frames, making it easy to frequently update advertisements. Users can insert (2) signs back-to-back into these sign holders to provide maximum advertising exposure. These suspension systems are ideal for shops and restaurants located in a mall or in a busy commercial district. Businesses hang this poster display in storefront windows to promote sales, specials, menus and new products. 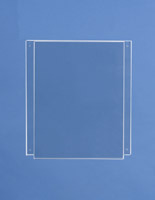 Additionally, offices will post directional signage and other information in these clear acrylic frames. What makes ceiling suspended frames preferable to wall-mount signage holders? These window displays are designed to hang from the ceiling, which means users can mount them in practically any indoor location. 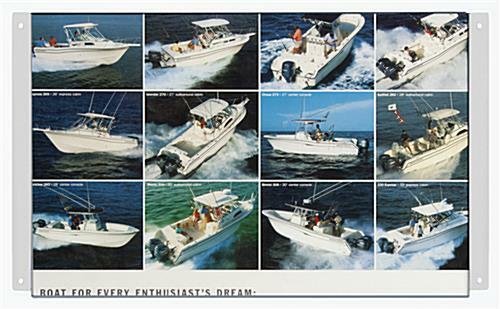 18.5" x 16.0" x 0.25"